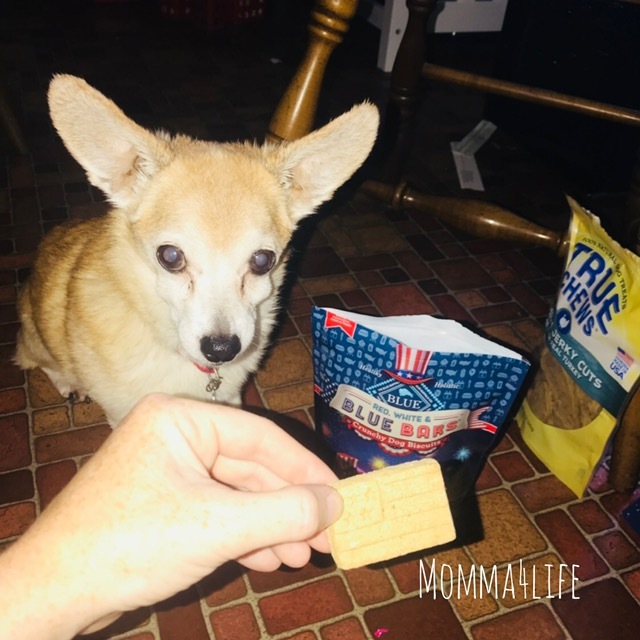 I want to tell you about this Blue Buffalo Red White and Blue Bars crunchy biscuits that any dog is sure to love. These treats are made of whole grains, fruits, and veggies and come in an 8-ounce size bag. 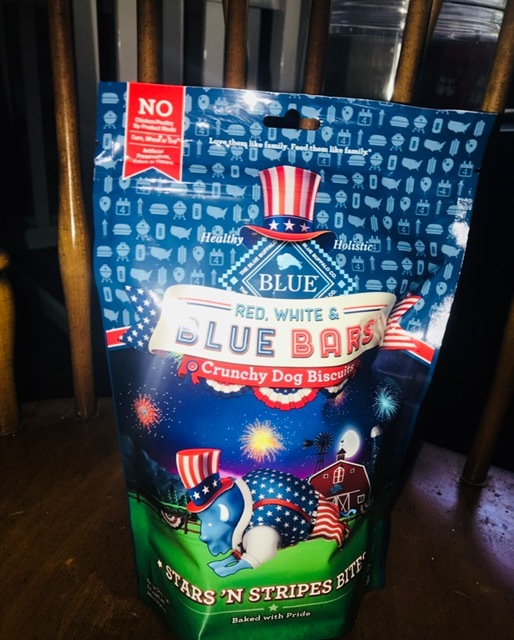 These treats my dog absolutely loves besides tasting amazing. 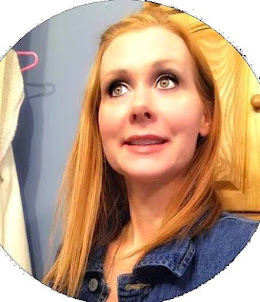 They are so adorable they come in the shape of a flag or USA flag at that. This 8-ounce bag retails for $3.99 which is an excellent deal seeing how much you get. 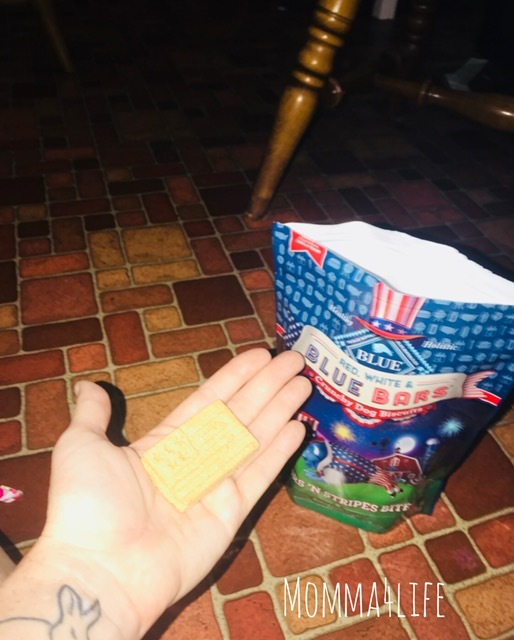 They are not colored red white and blue they are standard grain color and are a crunchy biscuit, no corn, soy, wheat or chicken or poultry by-product. They have nutritious ingredients enhanced by vitamins. They are also baked with pride in the USA. 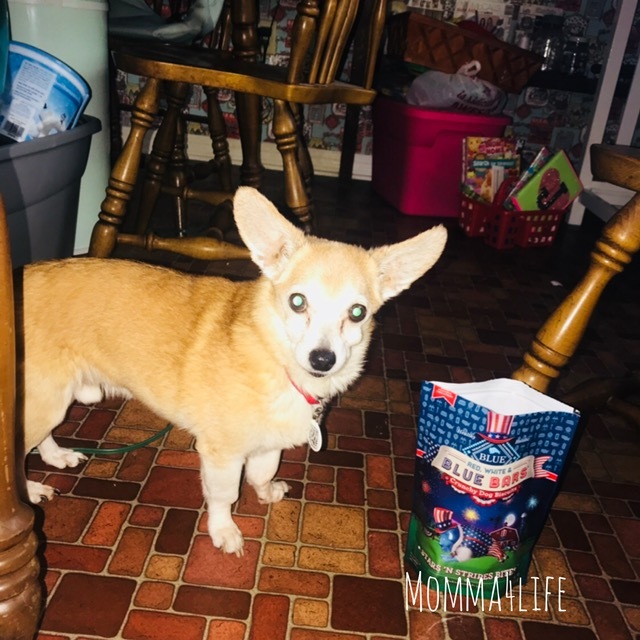 My dog absolutely loves these treats they are right up his alley they are pretty basic when you think about it just a dog biscuit no colors or anything like that just plain grain colors. These treats are great for small breeds, medium breeds, and even large breeds.